A Christmas grunge stamp set, good with vintage style Christmas cards. 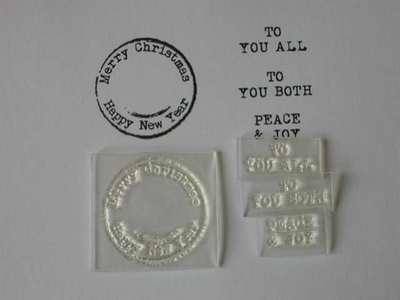 The stamp has a grungy circle with typewriter font text of 'Merry Christmas' and 'Happy New Year'. 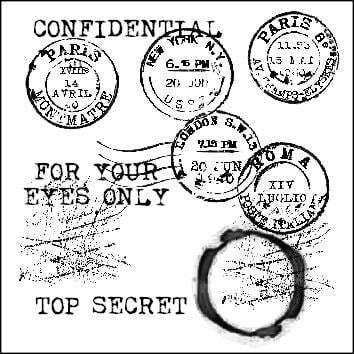 Three small stamps that fit into the centre, 'To You All' 'To You Both' and 'Peace & Joy'. The circle is 3cm.